We are inviting interested individuals to consider a range of exciting and flexible leadership opportunities to ensure the NSMNSS platforms remain active and informative to our 400+ members. Without your support we would be unable to continue this vibrant and engaged community of cross-discipline practitioners and researchers. Please share, tweet, shout this news to anybody who you think may be interested in the opportunities outlined below. Please get in touch by Monday, 2 September if you can commit to any of the opportunities described below, indicating your preference and confirming your availability to meet the requirements of the role. You can contact Jerome (jerome.finnegan@natcen.ac.uk) or Kelsey (kelsey.beninger@natcen.ac.uk). Key Role: Support the overall development of the blog by sourcing and publishing new posts, occasionally drafting your own post, co-ordinating the publishing timetable and liaising with the PhD bloggers, guest bloggers and the Twitter Account Manager. Network member with an interest in the range of opportunities and challenges provided by new social media research. Prepare a short handover report documenting your time as Blog Editor, to support the next Blog Editor. 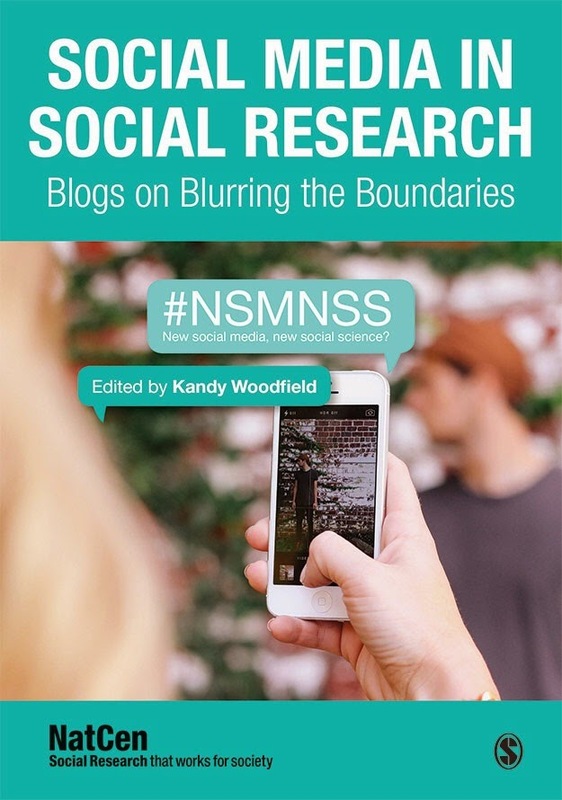 Key Role: Publicise your research and share your experiences as a researcher of new social media in short blog posts, including the challenges you encounter, the solutions you develop, the tools you use and the topics you are researching. Prepare a short handover report documenting your time as a PhD Blogger, to support the next PhD Blogger. Key Role: To maintain and enhance the very popular NSMNSS twitter account. Login to NSMNSS twitter account at least x2 a week, respond to tweets and tweet no more than x3 tweets of new content a day. Respond to all tweets within 5 days. Prepare a short handover report documenting your time as Twitter Manager, to support the next Twitter Manager. Detailed written guidance for the Blog Editor, PhD Bloggers and Twitter Manager will be provided, and NatCen Social Research will remain a point of contact for these individuals should they have any questions or require support. The above role descriptions are a suggestion; we are happy to discuss ideas for different ways of working. He has been furthermore research paper on social networking aggravated by your constrained quantity of research staying taken on of this type, specially round the influence involving social media marketing about functioning existence.